I’ve seen reviews of this book on quite a few blogs now and so couldn’t resist pre-ordering it. It has such an intriguing premise and I hope to get a chance to read it very soon! This is one of the books that Susan Hill wrote about in Howards End is on the Landing and it sounded like a really interesting read. It’s about how Michael Mayne approached living with a diagnosis of a chronic illness and is apparently an inspiring read. I immediately went to added it to my wish list and the noticed it is free to borrow for Kindle Unlimited members so I downloaded it straight away. This was a daily deal one day this week and as I’ve previously loved other books by him on audio I thought I’d give this one a go. It was a bargain at £1.99 and I hope to listen to it soon. I’ve been wanting to read this for a while and as I’m enjoying listening to longer audio books at the moment I decided to get this one with one of my Audible credits this week. I’m hoping I’ll be able to follow this alright on audio. The publisher contacted me to ask if I’d like to read and review a copy of this and after reading the synopsis I immediately said yes. It sounds like a great read and I’ll be reading it during February ahead of publication in March. Both of these books arrived in a surprise package this week and made my day. It’s always lovely to receive book post, especially when it’s a surprise! I was badly wanting to read both novels so they definitely won’t be on my TBR for very long. I was also contacted by the publisher about this book and I agreed right away. It arrived a couple of days ago and it’s a lovely hardback book and I can’t wait to read it! I also won a giveaway for a gorgeous proof copy of This is How it Always is by Laurie Frankel. I was thrilled when I was picked to receive a proof of this book as I was really looking forward to this book being out so I could get a copy, and also the proof is beautiful. My photo in no way does it justice but it really is stunning! 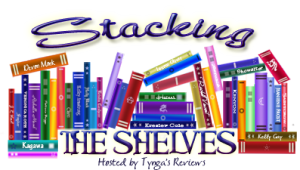 This entry was posted in Book Meme, Books, ebooks, Stacking the Shelves and tagged Alice Feeney, B. A. Paris, Bill Bryson, Books, David Mitchell, ebooks, John Marrs, Laurie Frankel, Michael Mayne, Mindy Mejia, Sara Baume, Stacking the Shelves. Bookmark the permalink. You have some nice -looking reads there. I like Bill Bryson’s work quite a lot, so I’m glad you’ve got one of his books among your finds. I hope you’ll enjoy it. My husband loved A Walk in the Woods. I should make a point to read it. Hope you love the Frankel book. It’s on my wish list! I’ve read Bill Bryson before and enjoyed is books. I’ll have to get this one. I bought, “Forbidden Mountain,” and just started it. It’s about a man’s dream to climb Mt. Ararat. I’m loving it so far. Sorry, got my titles mixed up, it’s called, Full Moon Over Noah’s Ark. Ou The Bone Clocks looks like it’s going to be good! Enjoy! I am eager to get The Breakdown…and Sometimes I Lie looks tempting, too. Enjoy your books! Thanks for sharing. All of these are new to me! An interesting mix here, that’s for sure. The Bone Clocks sounds good, and it has a great cover. 😀 I hope you enjoy all of your new books! The One sounds really interesting! Hope you enjoy all your goodies. You can find my post for StS here if you’d like to stop by! Thank you 🙂 I’m slow to reply to comments this week but I’ll go read your StS now.